McNeil J J, Wolfe R, Woods R L, et al. Effect of aspirin on cardiovascular events and bleeding in the healthy elderly[J]. New England Journal of Medicine, 2018, 379(16): 1509-1518. McNeil J J, Nelson M R, Woods R L, et al. Effect of aspirin on all-cause mortality in the healthy elderly[J]. New England Journal of Medicine, 2018, 379(16): 1519-1528. ASCEND Study Collaborative Group. Effects of aspirin for primary prevention in persons with diabetes mellitus[J]. New England Journal of Medicine, 2018, 379(16): 1529-1539. Gaziano J M, Brotons C, Coppolecchia R, et al. Use of aspirin to reduce risk of initial vascular events in patients at moderate risk of cardiovascular disease (ARRIVE): a randomised, double-blind, placebo-controlled trial[J]. The Lancet, 2018, 392(10152): 1036-1046. Turan T N, Nizam A, Lynn M J, et al. Relationship between risk factor control and vascular events in the SAMMPRIS trial[J]. Neurology, 2017, 88(4): 379-385. Ottosen T P, Grijota M, Hansen M L, et al. Use of antithrombotic therapy and long-term clinical outcome among patients surviving intracerebral hemorrhage[J]. Stroke, 2016, 47(7): 1837-1843. Chong B H, Chan K H, Pong V, et al. 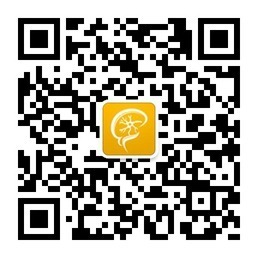 Use of aspirin in Chinese after recovery from primary intracranial haemorrhage[J]. Thrombosis and haemostasis, 2012. Flynn R W V, MacDonald T M, Murray G D, et al. Prescribing antiplatelet medicine and subsequent events after intracerebral hemorrhage[J]. Stroke, 2010, 41(11): 2606-2611. Viswanathan A, Rakich S M, Engel C, et al. Antiplatelet use after intracerebral hemorrhage[J]. Neurology, 2006, 66(2): 206-209. Chen C J, Ding D, Buell T J, et al. Restarting antiplatelet therapy after spontaneous intracerebral hemorrhage: Functional outcomes[J]. Neurology, 2018: 10.1212/WNL. 0000000000005742. Biffi A, Halpin A, Towfighi A, et al. Aspirin and recurrent intracerebral hemorrhage in cerebral amyloid angiopathy[J]. Neurology, 2010, 75(8): 693-698.